Hið kraftmikla og spilaglaða K tríó var stofnað í janúar 2008 og sigraði um haustið Young Nordic Jazz Comets keppnina. Tónlistinni verður líklega best lýst sem fáguðum djassi með óútreiknanlega rokkstjörnutakta. Í byrjun árs 2009 gaf K tríó út sína fyrstu plötu, en hún fékk mjög góða dóma, m.a. 4 og 1/2 stjörnu í Morgunblaðinu. önnur plata tríósins kom út árið 2010 og hlaut hún einnig afar góða dóma. Nýjasta plata tríósins “Meatball Evening” vann til 3ja íslenskra tónlistarverðlauna fyrr þessu ári. Valdimar Guðmundsson og Ásgeir Aðalsteinsson eru stofnmeðlimir og aðal lagahöfundar hljómsveitarinnar Valdimar sem hefur fyrir löngu skipað sér í raðir vinsælustu hljómsveita landsins. Hljómsveitin Valdimar hefur gefið út tvær plötur, Undraland og Um stund, og hlutu þær mikið lof jafnt frá gagnrýnendum sem og almenningi. Á Íslensku tónlistarverðlaununum 2013 var hljómsveit þeirra tilnefnd í tveimur flokkum, fyrir plötu ársins og sem lagahöfundar ársins auk þess sem Valdimar Guðmundsson var valinn söngvari ársins. Á tónleikunum mun K tríó með upprunalegum hljóðfæraleikurum, Kristjáni Martinssyni, Pétri Sigurðssyni og Magnúsi Tryggvason Eliassen spila ásamt Valdimari Guðmundssyni og Ásgeiri Aðalsteinssyni nokkra frumsamda ópusa eftir Valdimar og Ásgeir í bland við gömul íslensk lög í krúnera stíl. K tríó was founded in January 2008 and won the Young Nordic Jazz Comets that very same year. Their music is a combination of jazz virtuosity and rock emotion, infused with their joy for playing. 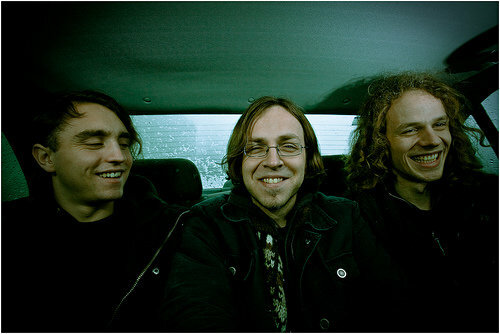 K trío has published three albums, K tríó ( K trio) in 2008 and Rekaviður (Driftwood) in 2009. Both albums received outstanding reviews. 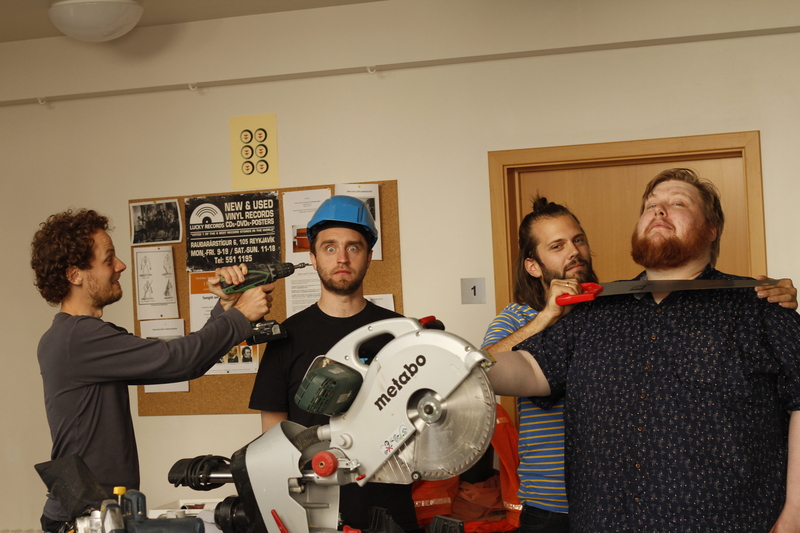 There third album “Meatball Evening” won 3 Icelandic Music awards earlyer this year. Valdimar Guðmundsson and Ásgeir Aðalsteinsson are the founding members and main songwriters of the band Valdimar which has been one of the most popular bands in Iceland for the last few years. Valdimar has recorded two albums, Undraland and Um stund, which attracted much praise from critics and the general public alike. 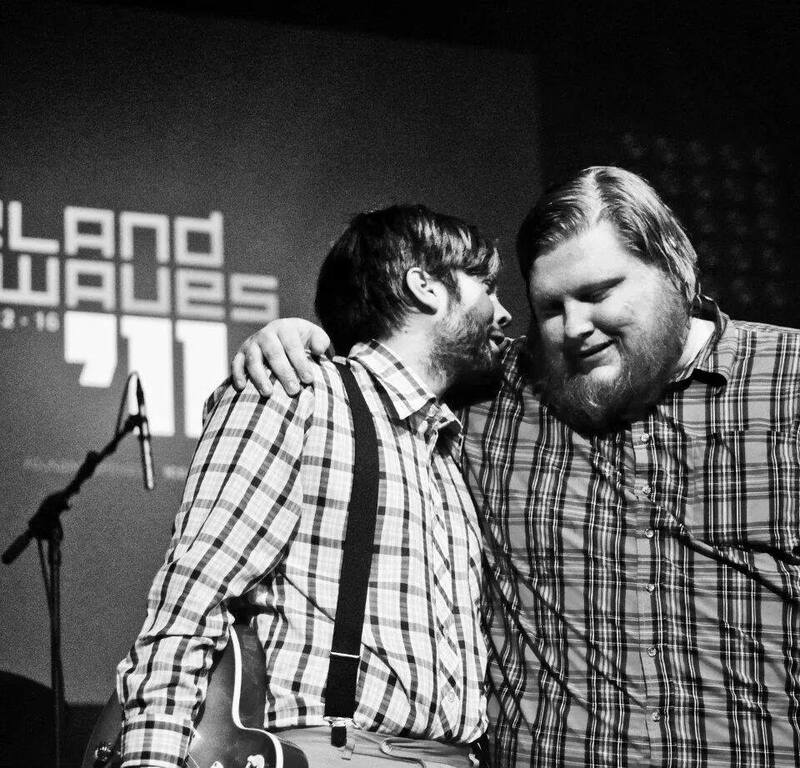 At the 2013 Icelandic music awards the band was nominated for the album of the year and as songwriters of the year, Valdimar Guðmundsson was then awarded as the singer of the year. In this concert the original members Kristán Martinsson piano, Pétur Sigurðsson Bass and Magnús Trygvason Eliassen drums will play with Valdimar Guðmundson vocals and Ásgeir Aðalsteinsson guitar and live electronics. On the program there will be some new songs composed by Valdimar and Ásgeir mixed with old Icelandic Crooner songs.